Many times the expiration date on certain products is more of an indication of diminishing potency levels than an actual discard date. This is often true of over the counter medications and products. The date is more true for products that can be contaminated once opened. This is a guide about when expiration dates matter. It was a beautiful sunny day in the Caribbean as my family and I headed to the beach. Before we hit the water, I spent ten minutes covering a wriggling and impatient boy with SPF 50 sunscreen. From there, I argued with him every hour as I "wasted" ten more minutes of his time reapplying the sunscreen. To my dismay, I didn't put a pale skinned youngster to bed that night. Instead, he was a lobster burned from the sun that had permeated his sunscreen. Why? The expiration date of our sunscreen had expired. It only took one day to learn my lesson. Now, no matter how much the sunscreen cost, if it's past the expiration date I throw it out. 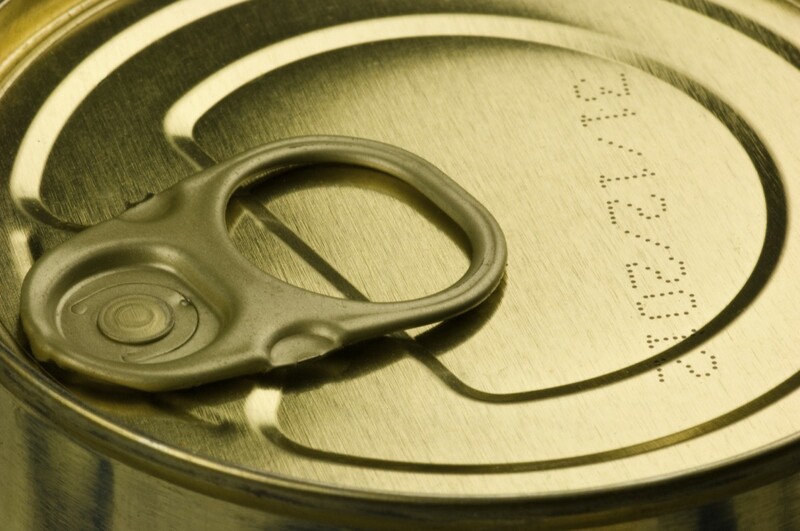 Expiration dates are printed on products to ensure that consumers receive the full benefits of their products. However, there are times when an 80% benefit is acceptable and throwing away a product because of the nearing expiration isn't the best option. However, in the case of our vacation it's important that we receive 100% of the sunscreen's abilities; therefore, the expiration dates are extremely important to us. It's a call that you're going to have to make. Over the counter medicines typically do not "go bad" after their expiration dates, but they will lose some potency. However, most studies show that they still retain 90% of their potency five years after their expiration. Examine the importance of the medicine, and determine if you're willing to throw it out or continue to use it. Keep in mind that liquid medicines are less stable than pills, so use your judgment when evaluating the product. If it smells or looks different, discard it. Do not take more than the dosage states in order to make up for the lessened effects. Most personal care products also lose potency after their expiration dates. Chemicals in the products leach into the packaging or dissipate into the air, leaving the products less effective. Since these aren't medications, you may not notice the lessened effects and may not receive any benefits from the products. Products like toothpaste, skin care, and anti-aging products will fall into this category. When bacteria can enter the product, adhere to the "after opening" expiration date closely. Makeup should be discarded within three months of opening no matter how expensive. Other products like eye drops, saline solution, and creams can also be bacterial hiding places. While the products still do as they were intended, they may do a little more with age. What If There's No Date? The FDA regulates the inclusion of expiration dates. For products that do not require dosage instructions and will hold their effectiveness for three years, the FDA does not require expiration dates. Therefore, some sunscreens may not have one while others will. To avoid any problems with unmarked products, upon purchase use a marker to write the month and day on the product. You'll know when the sunscreen is nearing its three year mark. According to my internet research, the only people who have research very long term "expiration" issues about medications is the govt. who is interested in it due to stockpiling of medical supplies for the armed forces. They have found that medicines remain mostly effective over years (when properly stored avoiding undue moisture/heat)- unless it is in pill form & has deteriorated. Just fyi. You may have an emergency, too. I was not aware of the expiration date issue with sunblock, thank you very much for posting this! I have a rule that I follow every year with sunscreen. I have fair skin nad being elderly doesn't help either. But for many years now, including when my own kids were young, at the beginning of spring, or at the first onset of sunscreen being stocked in the stores, I through out all my sunscreen from the year before and started buying new. I'd buy one bottle or spray can a week, therefore it wasn't such a shock to the budget. And by the time hot weather arrived I had a good supply. I would stock up on 5 cans or bottles per person who used it. That always was enough to last us through the summer. Also, since it's now just me and I have no one to apply it for me, I look for the spray cans that you can hold upside down to spray. This way I can get a good coat on my back and places where I normally can't reach. I've tried the applicator things where you put the lotion on the applicator and it's like a back brush, but I never could get a smooth coat of the lotion on. Might work for someone else but never did for me. Another thing I wanted to add here. When my kids (both fair haired and fair skinned and burned at the drop of a hat) were little I enrolled them in the local YMCA summer fun club. One day they took a day trip to the beach. I was adamant with the counselors that the kids (they were 6 & 7 at the time) had to have the sunscreen put on them and re-applied every 2 hours. I sent 2 bottles with each of my kids so they'd have more than enough. They got to the beach at about 9 a.m. and stayed till about 5 p.m. Being as young as they were and being kids and excited to get in the water, they forgot their sunscreen on the bus. The counselors told them that was too bad, they weren't going to go back and get it. They also told the kids that if they wanted sunscreen applied they had to do it themselves. When I picked them up that night I had to take them both straight to the emergency room, because they were so badly sunburned. They both spent several days in the hospital. I won't go into what I said to the counselors and to the head of that YMCA because language like that isn't appropriate on here. But you can imagine I'm sure. I also brought a law suit against them, which turned into a small class action type suit because once I got mine started almost all the other parents joined in too. I just wanted to post this so that everyone can be aware of things like this happening. In the years since, I've heard of similar things happening with other child day care and clubs too. So it's not just the Y, and not just this Y.